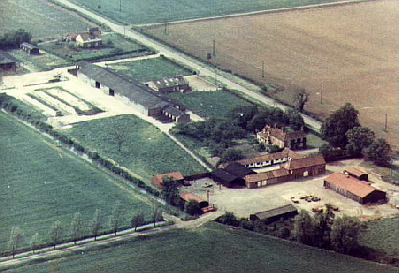 In the early 19th century Brandon Lodge Farm was occupied by Samuel Crosby. By 1836 he had been replaced by Richard & Hannah Robinson. 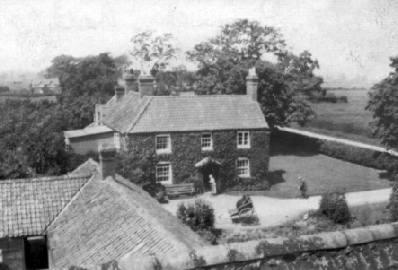 After the death of Hannah (1846) and Richard (1851) their eldest son Richard Robinson took over the farm, helped by his brothers and sisters and Aunt Lydia. After Richard died in 1870 he was succeeded by his widow Catherine until she re-married in 1874, then by his brother Matthew Robinson, until he died in 1882. The Robinsons were followed by Theodore Burtt. The Burtt family were Quakers and Theodore went to Africa as a missionary, leaving his brother Henry Keymer Burtt to run the farm. Henry built a Quaker mission room in the garden of Brandon Lodge and had services and occassionaly lantern lectures and entertainments for the surrounding area. In the Great War he was a conscientious objector, refusing to even serve in non-combatant miltary roles. He was at Brandon Lodge until at least 1937. The farm seems to have been mainly cattle as at least 2 of the farm workers in 1901, Joseph Wadsworth (Lodge Cottages) and Robert Reek (Brownlow Cottage) were stockmen. 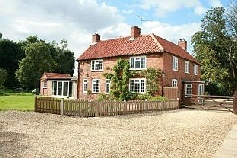 Brownlow Cottage has also been called Hickson Cottage and Staff Cottage.